Please help us to keep this site up to date. Google Maps now cover Wistanswick! The locals at the Red Lion Pub have raised £496 for the Wistanswick Institute. 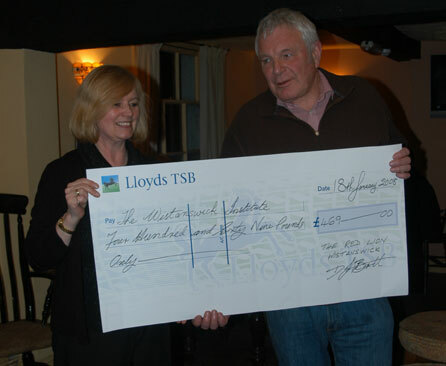 June presented Richard with the cheque on Friday 18th Jan.